Roofing Company in El Paso, TX | El Paso Roofing Co. Your roof keeps you covered all year long, so it’s only fair that you treat it the right way too--by hiring a reputable roofing company to take care of any repairs, maintenance, and installations you may need. El Paso Roofing Co. is a reliable roofing company that serves the El Paso area. For over 30 years, El Paso Roofing Co. has offered quality roofing services across the city. During that time, we have seen it all when it comes to roof damage and other related services, and can help you as well. Learn more about the services we offer! From loss of working hours to long hotel stays, roofing issues can put you under financial strain. Home and business owners alike deserve a stable roof over their heads. When the roof is leaking, things can go from bad to worse in no time. Make us your go-to team for all your roof repair and replacement needs. Don't let that pesky leak turn into a bigger problem. 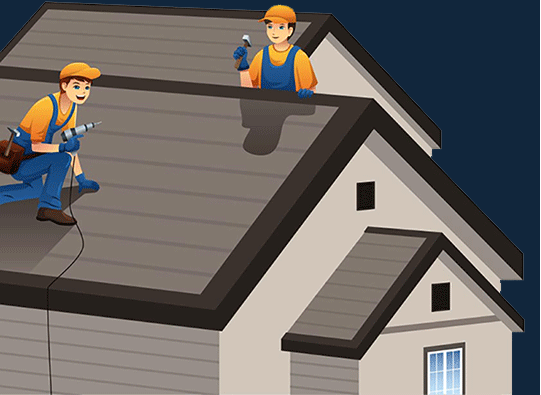 Our roof repair services can tend to any issue in a succinct and complete manner. By properly maintaining your roof, you can avoid detrimental outcomes and expensive replacements. We're ready to keep your roof in tip-top shape! Roofs that have suffered from hail, wind or storm damage require repairs as soon as possible. Since this type of damage is considered an insurance loss on your homeowner's policy, your new roof could be completely covered! Let our team guide you through the insurance claim process. At El Paso Roofing, we provide trusted services for both commercial and residential properties. Our services span from minor fixes, roof installations, commercial roof coating, roof restorations, and more We understand that in El Paso, a few of the main causes of roof damage are extreme temperatures, neglect, and wind damage. Our residential and commercial roofing experts know every aspect of the roofing industry. Over time, your roof can develop many different issues. These issues can cause leaks and damages, which develop into weak spots that lead to serious problems. In addition to severe sun and wind exposure, roofing in El Paso goes through a lot. When you call us at El Paso Roofing Co, we provide top notch customer service from the start. We fully assess and evaluate your roof before beginning any type of work. This way, we can provide the best service for whatever you need. We have all the information needed in order to apply the best treatment for overall sustainability. Since 1978, El Paso Roofing Co. has served commercial and residential properties across the city and surrounding areas. We are a proud locally owned business. We have a commitment to high quality roofing and we pride ourselves in not cutting corners in the process. As a result, our roofing services maintain a strong reputation for being durable and long lasting. All of our employees have extensive experience and maintain the professionalism expected to uphold our company's reputation. We never subcontract our work to third parties, instead we take pride in completing every detail of the job ourselves. Every one of our jobs is under direct supervision to maintain the level of excellence the El Paso community has come to expect. Isaac replaced the roofs on two houses for me, and did a fantastic job on both. They do completely sound and beautiful work. I’m very pleased with the work on my two houses! I chose them because they offered the best price for what I needed for my roof. And I checked 5 different ones. And they were on time with all their work too. Great job, would definitely recommend. I didn’t have to wait around in the process of having my roof replaced. Unlike other contractors, El Paso Roofing was on-time and got the great quality roof installed fast. Thank you! Melissa and Felipe were just wonderful people! And I am very pleased with my roof. They are very kind, easy to work with, and do a quality job!